Never heard of such a thing, but oh, my–it makes sense. Where do colors come from in the first place, hmmm? Painting with flowers, and loving every second. Natural Mother Magazine fabulous find. Go there. and snapped it in just below Rapunzel’s window, in the back. On a whim, we gathered together the moms and dads and kiddos for an evening at the pottery paint shop known as “Color Me Mine.” Perhaps you’ve heard of it. It was my first time and I’ll admit, when I made the reservations–or “booked the studio time” as they say, I was a bit nervous to tell them, first, how big our group was, and second that we had a few kids and a baby. Turned out that they didn’t bat an eye. In fact, the gal said, “Bring ’em. They’ll love it.” And love it they did. First, we got to choose our piece, be it bowl, mug, bunny or pirate skull–there was something to make everybody happy. from the millions that they had to offer. Of course, I was looking for my very own pink and purple. Shockeroo, huh? To our own little private room. There was seriously no rush whatsoever. at last, we couldn’t find another bare spot of clay. Then, and only then, did we know we were finished. We turned our masterpieces in to the nice lady behind the counter. She put them all on a tray and told me I could come back and get them on Saturday. Just hanging out creating cool, very, very much us kind of stuff. 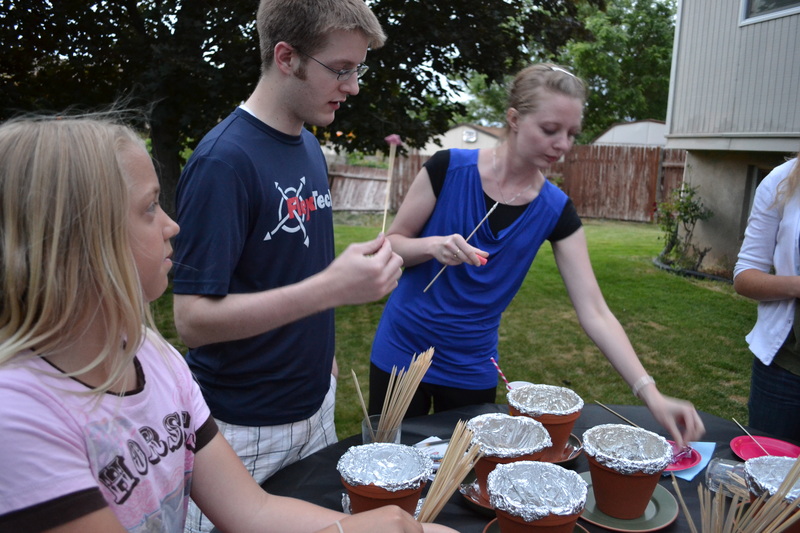 Stay tuned for the fired and finished results of our pottery paint fest…it was dang cool. 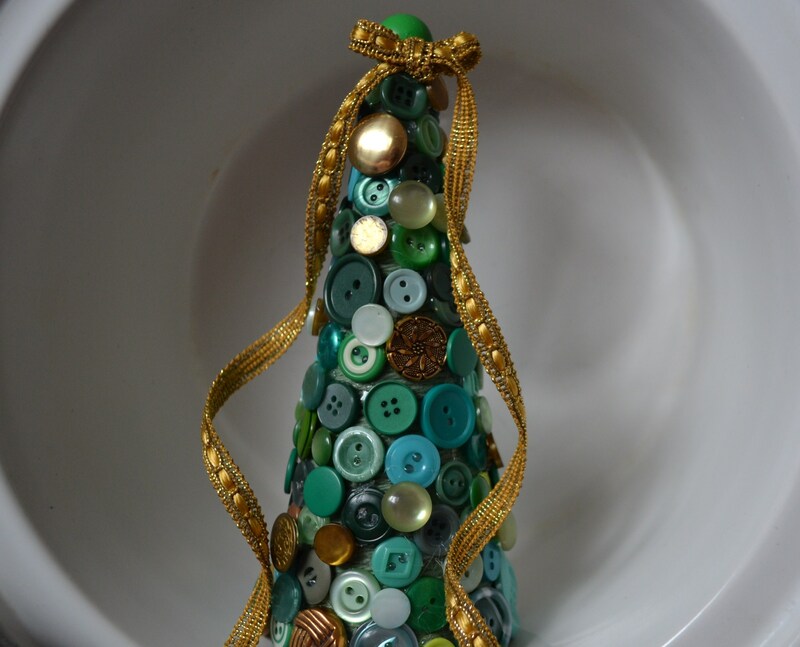 I love Christmas trees and I love ribbon and I love buttons–so what better way to spend the afternoon than to make a sweet little button tree. 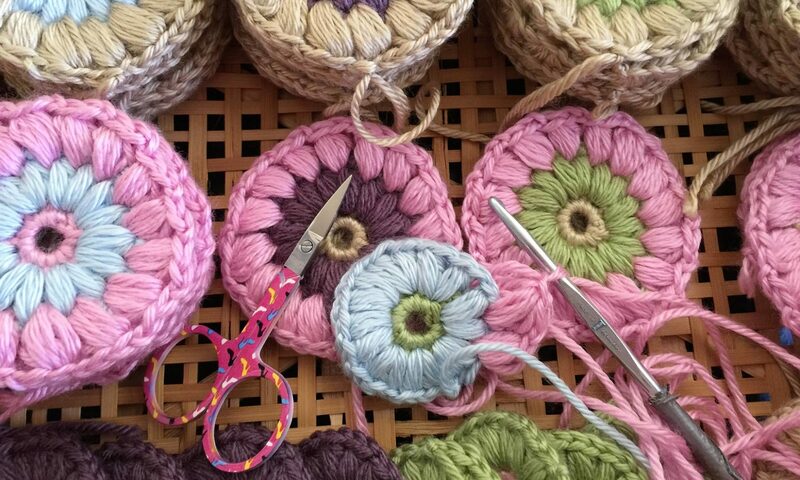 It was terrifically quick and easy and…well, beautiful, if I do say so myself. 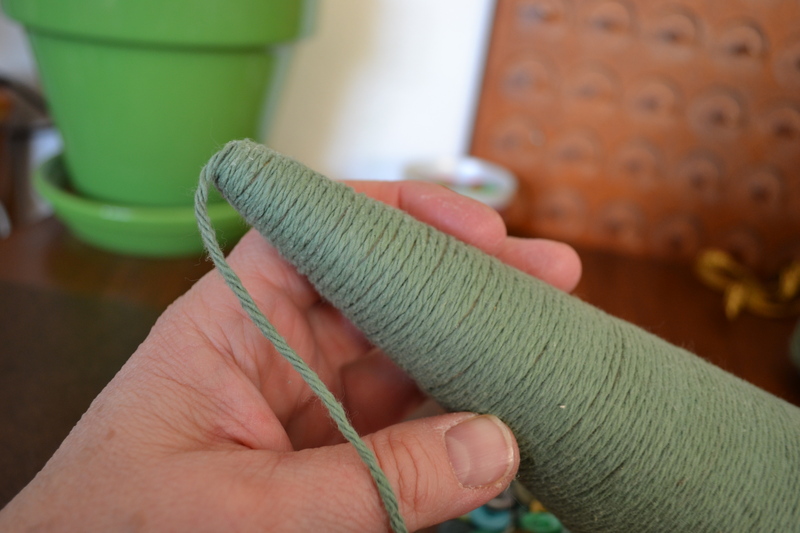 and wound green yarn up the whole length of the cone. 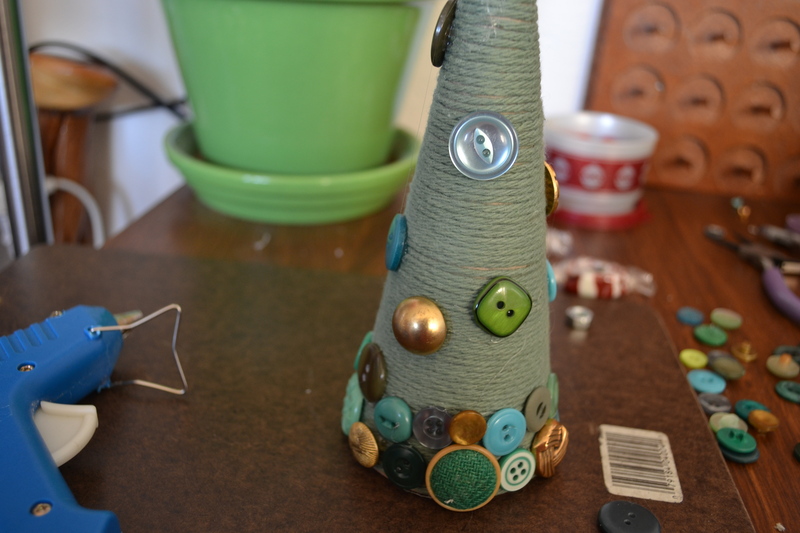 Now it looks like a tree and it won’t matter so much if there are spaces between some of the buttons here and there. 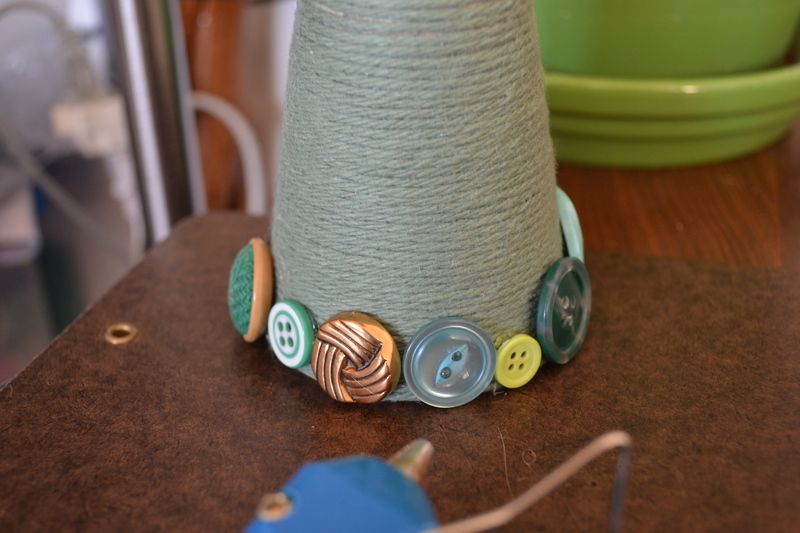 It worked best for me to put the glue on the yarn and stick the buttons on. 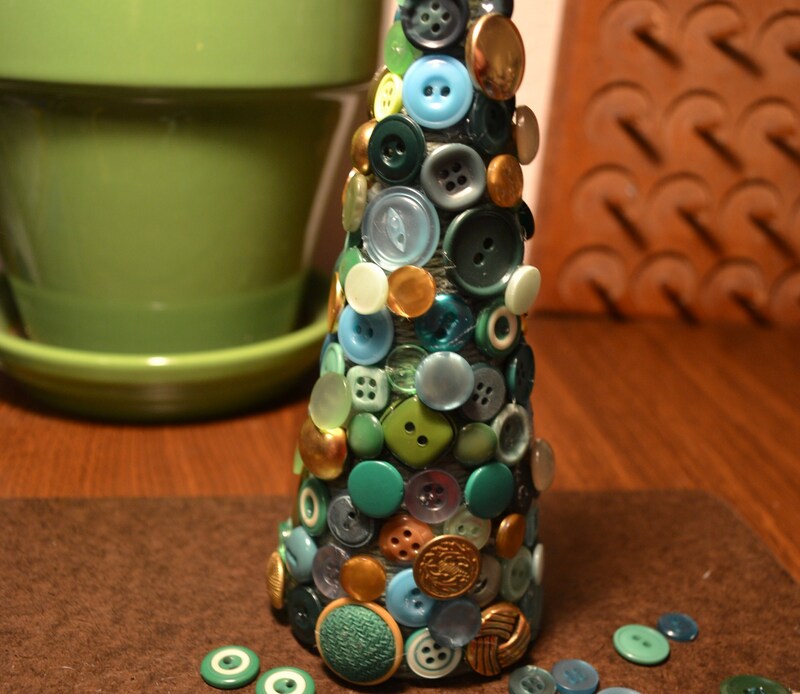 If I had tried to put the glue on the buttons instead…well, I saw the emergency room in my immediate future with that technique. This way worked better. Word of caution though–be very careful when pushing the buttons on that have those little holes. 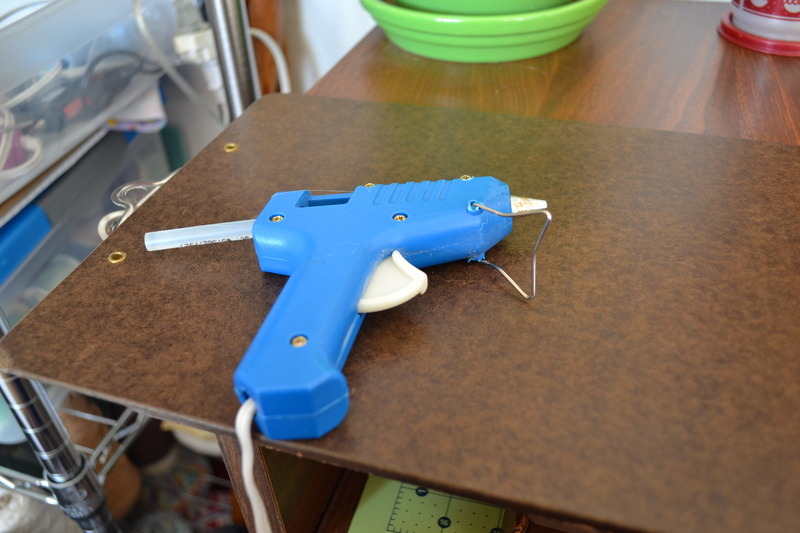 The evil hot glue will come right out those holes and try to kill you. I know this so beware. and it worked fine. 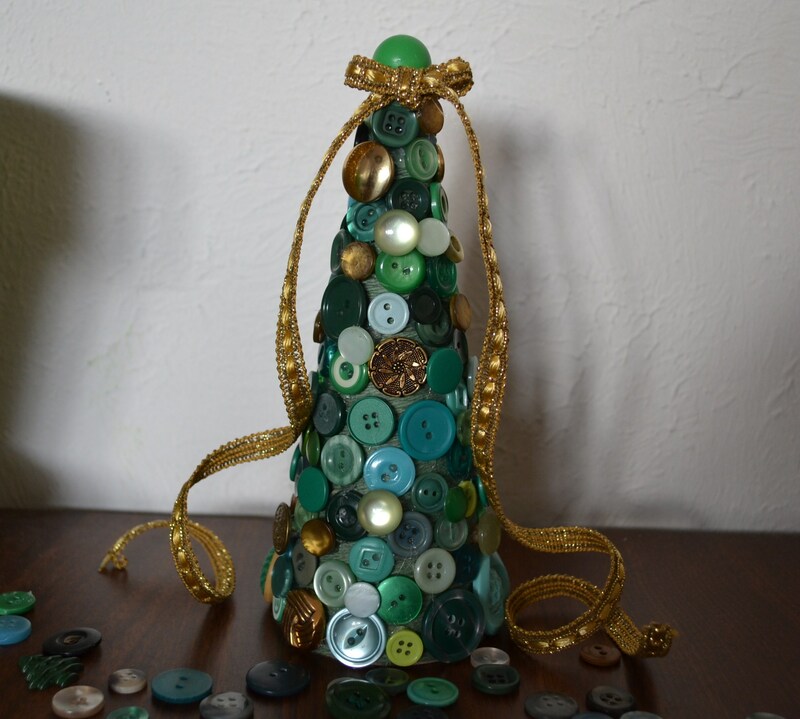 Isn’t this the cutest little button tree you’ve ever seen? Even better topped off with a elegant gold bow. Now I want to see what I can do with pink buttons…heh, heh, heh. I’m off to wrap the rest of the pretty little presents. Oh, do have a wonderful Christmas Eve my friends. Oh, we had sooo much fun at Jillian’s bridal shower with this sweet idea–we found on Pinterest. 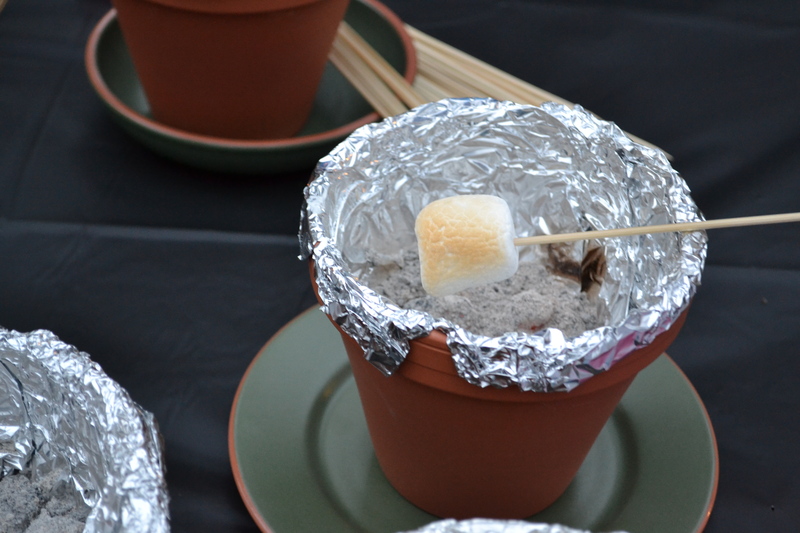 Cooking yummy little s’mores over individual Terra Cotta hot pots. Aren’t they just adorable? 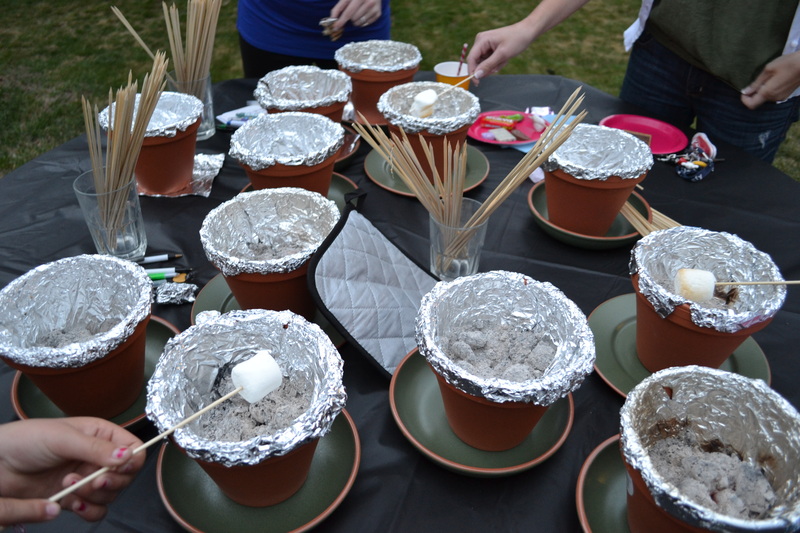 Originally, we set three Hot Pots on each table around the yard for the guests to enjoy. But towards the end of the party, we gathered them up and set them all in one spot, and realized that they were still hot enough to go for round two–so that’s what we did! 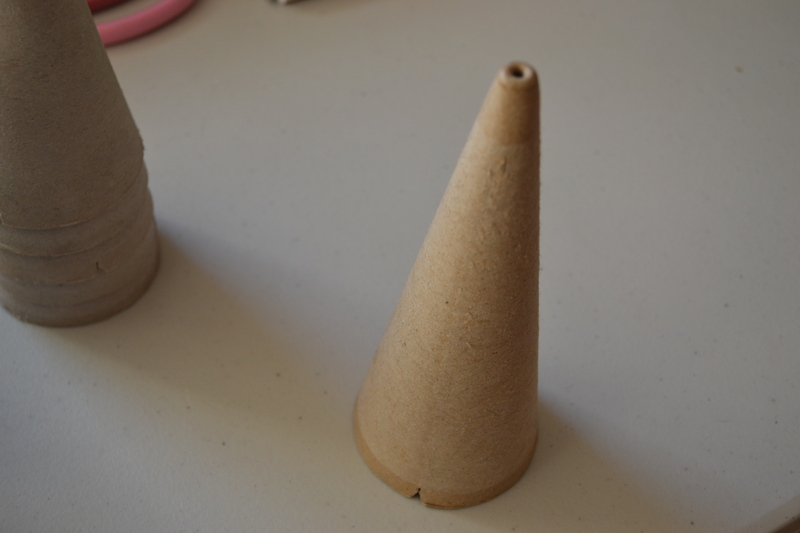 These are so simple to make–we kinda just threw them together with 6 inch Terra Cotta flower pots that we bought from Michael’s. 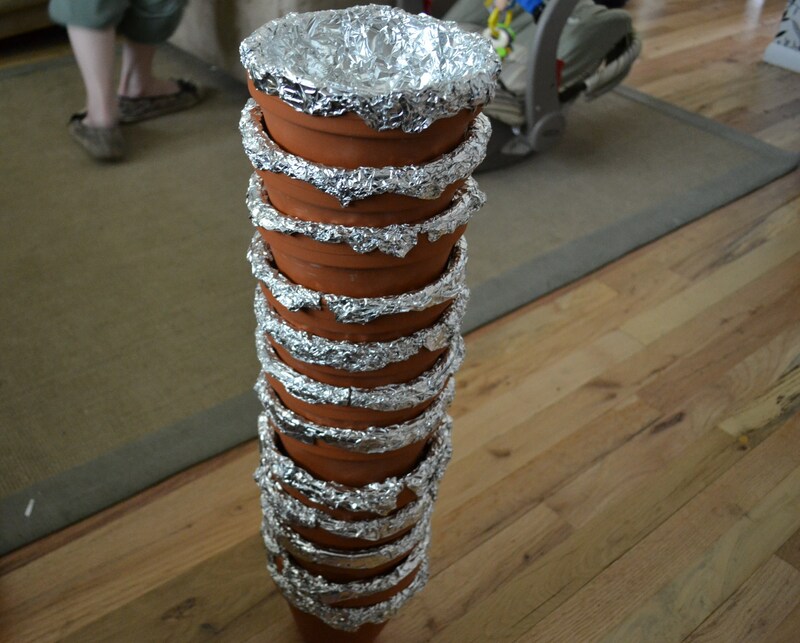 First, I balled up a piece of foil and put it in the bottom–so they weren’t so deep. Then, I lined them using heavy duty foil with the shiny side up, and just scrunched it so that it just barely rolled over the outside edge. I didn’t worry too much about them looking perfectly beautiful either. 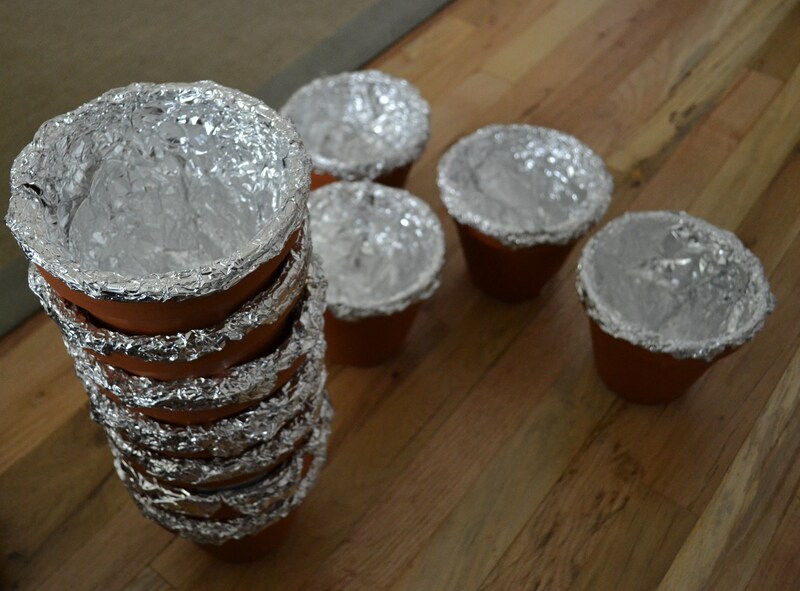 Once the foil was in, I stacked them to kind of smooth out the insides. 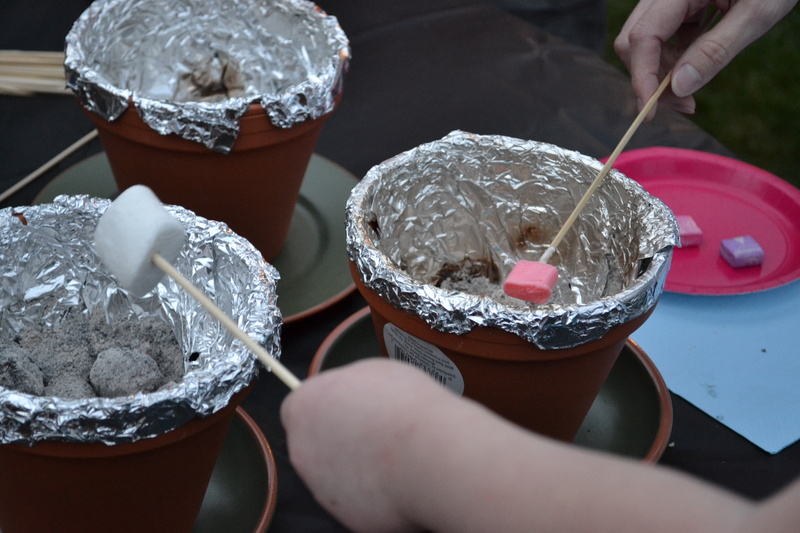 We lit a busload of charcoal briquettes in the barbecue, then once they were nice and glowing, we used tongs to transfer the hot coals to the pots.